I’ve always enjoyed fish, and I make an effort to ensure we get at least two portions per week. Fish is a good source of protein, lower in saturated fat than red meat and oily fish also contains those all-important omega-3s for heart health. Fish is also a good source of fat soluble vitamins (A, D, E and K), calcium (obtained from the fish bones) and magnesium. However, I find I’m often opting for the same types. 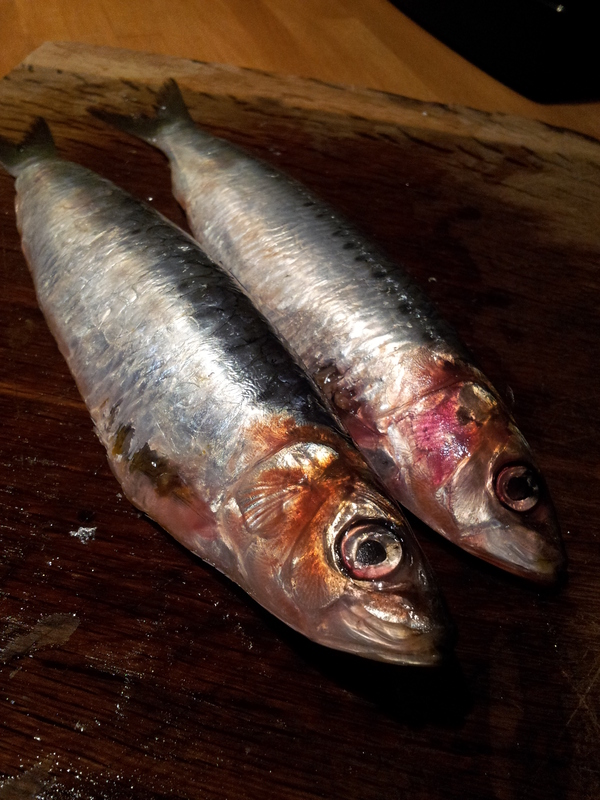 This month I’m making an extra special effort to buy the more unusual types of fish that I either haven’t had before or haven’t had in a while. As we’re on the subject of fish…I’ve also tried sushi again this month. Coming from a small town in West Wales, sushi restaurants weren’t exactly easily accessed when I was younger, and when I went to university I just never tried it (could well be down to having a housemate who was allergic to fish!) Anyway, I tried sushi for the first time about a year ago and didn’t like it. Having tried it again last week, I’m afraid I’ve still got a way to go before I can actually enjoy a traditional Japanese meal! It’s something I’d like to enjoy though, so it’s not my final attempt. Just remember that while sushi is often seen as being a healthy option for a meal out, there are still lots of things on a sushi menu that are deep fried = not so healthy! I don’t know about you, but as the weather gets colder, cold fruit and vegetables all the time just don’t do it for me. I’m quite a lover of raw vegetables or salad for lunch through the summer…but winter hits and I want something warm. A lot of the time I’ll make a soup, but (here comes that variety thing again) I also want something different. 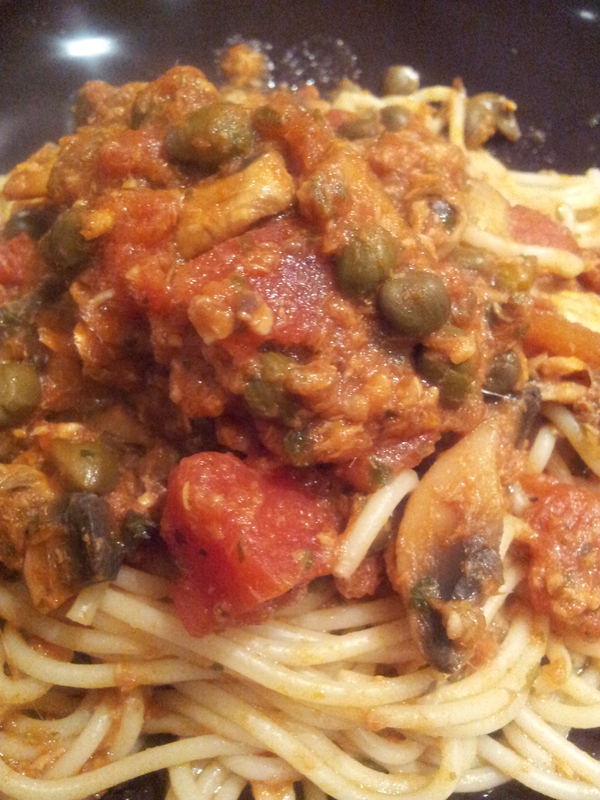 I’ve been making ratatouille with different veggies and baking squash, aubergine and sweet potato too. Aubergine is a particular favourite of mine because I really like the texture. 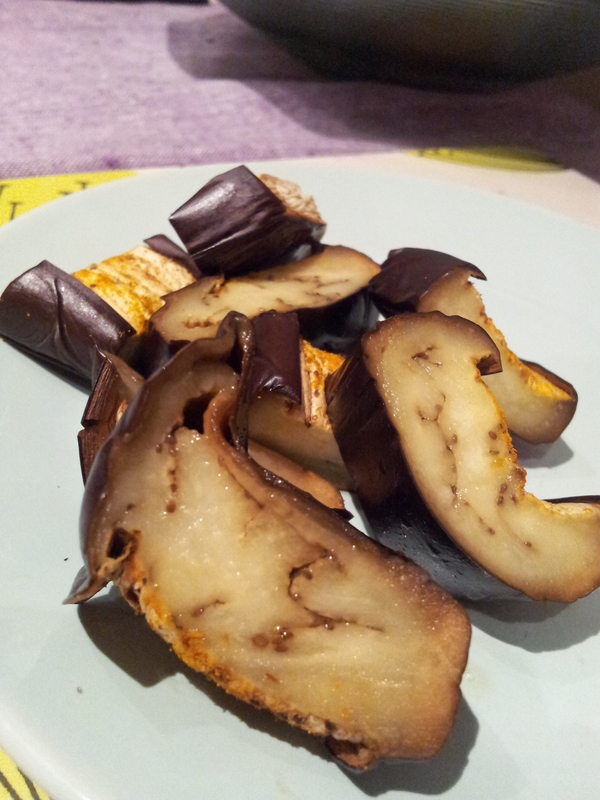 Aubergine, AKA eggplant, is very low in calories and high in fibre; great for those of you watching your weight. It also contains B-vitamins and anti-oxidants. Plus the gorgeous purple skin makes any plate look divine! No…These aren’t chips..I’ve even started baking fruit! 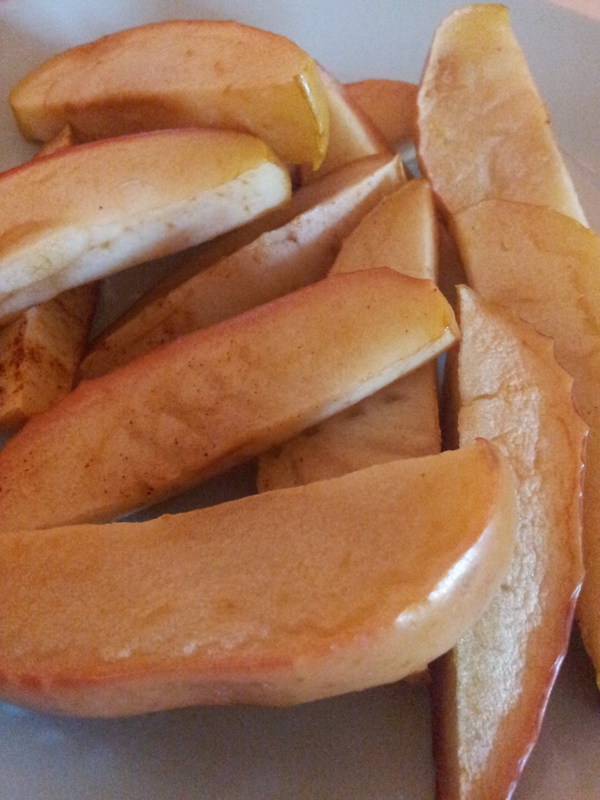 I find baked apple slices with a little cinnamon have that added appeal in these cold months! November has also been a busy month for birthdays! I enjoy baking, so I figured that I’d try and put a dietitian slant on my cakes and bakes. 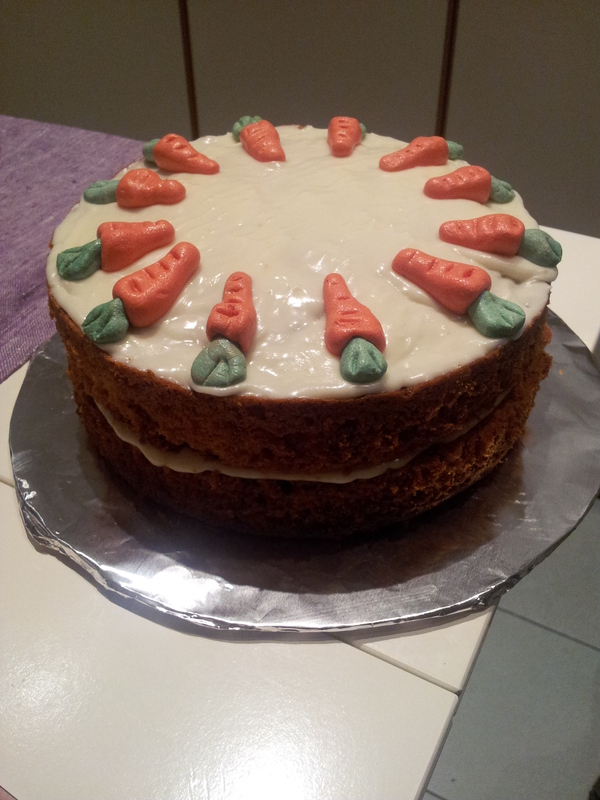 That’s included a carrot cake (although this one wasn’t particularly low calorie! ), some chickpea brownies and a chocolate sponge made with quinoa instead of flour. I enjoy experimenting with recipes and enjoy the reaction from my friends when I tell them what they’re made from even more! Now, I’m off to my swordfish steak and poached pear 😉 See you next month!